Kochbrunnen, Wiesbaden, originally uploaded by laurenz. Although the water of this source does not quite reach boiling temperature (”kochen” = to boil), it’s still steaming hot. 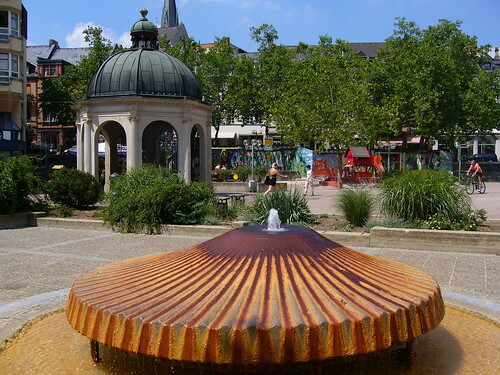 The hot sources have been a major tourist attraction for Wiesbaden ever since the time of the Romans.